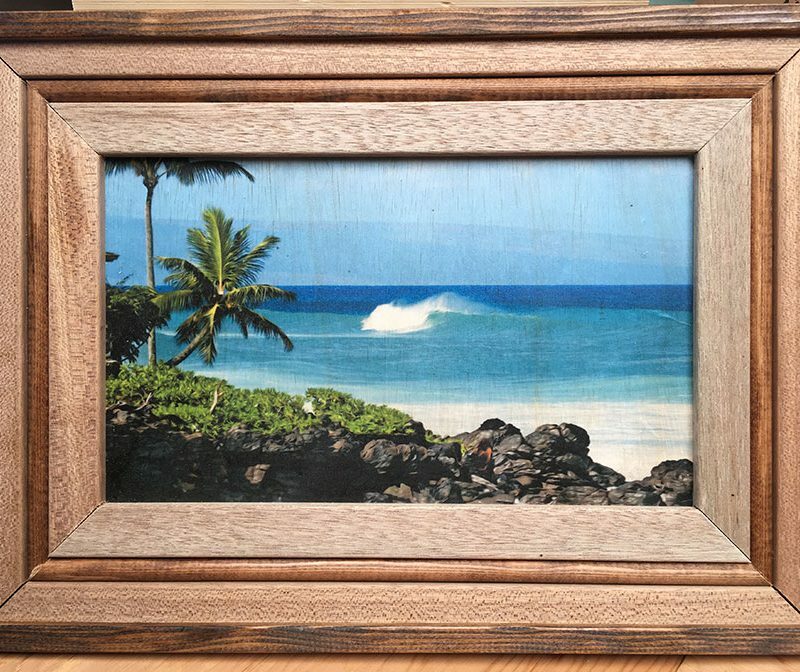 Dreamland: A hidden wave somewhere on Maui. 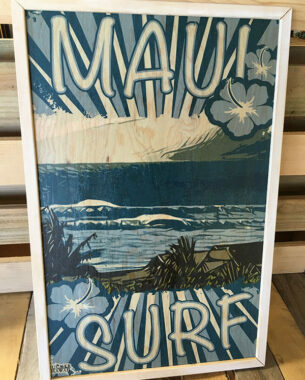 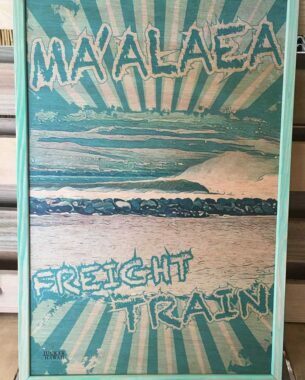 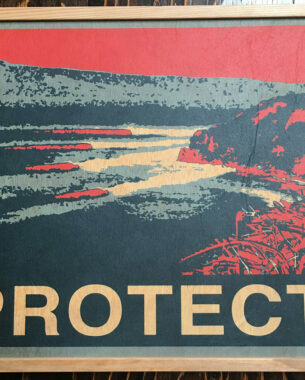 All our surf art is 100% Handmade on Maui and each piece is unique. 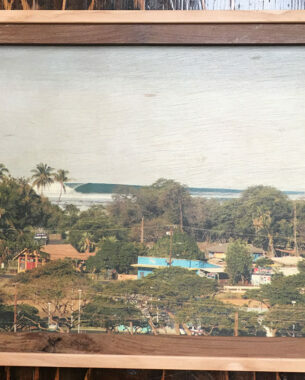 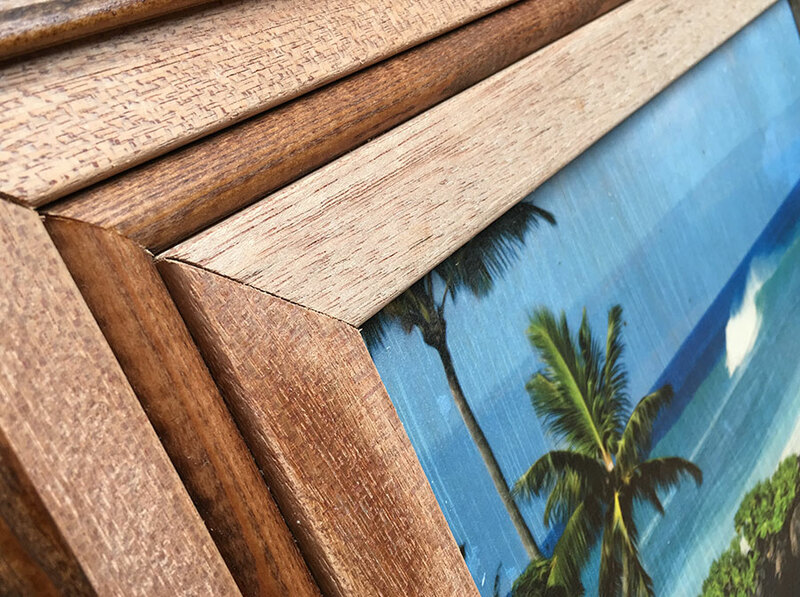 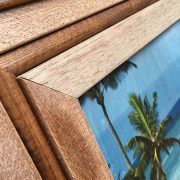 The picture is laminated on wood and then carefully framed to give it that ‘beachy” look. 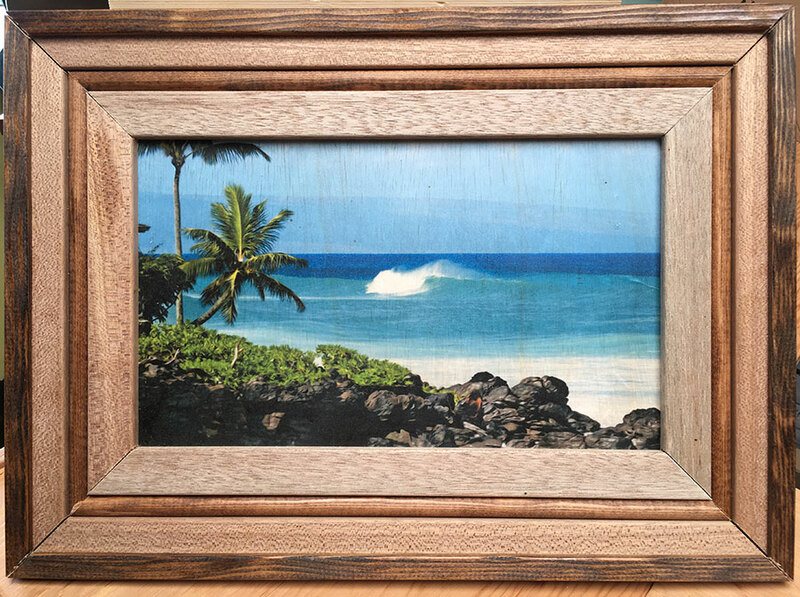 We can ship this item to the mainland or neighbor islands.